Is the Time Right for Packaging EPR in the U.S.? During the 2015 U.S. Product Stewardship Forum in December, experts involved in successful packaging extended producer responsibility (EPR) programs in Belgium, British Columbia, and Quebec inspired attendees to rethink current U.S. recycling programs. The Product Stewardship Institute (PSI) will continue this conversation by releasing a series of short videos that were filmed at the Forum. 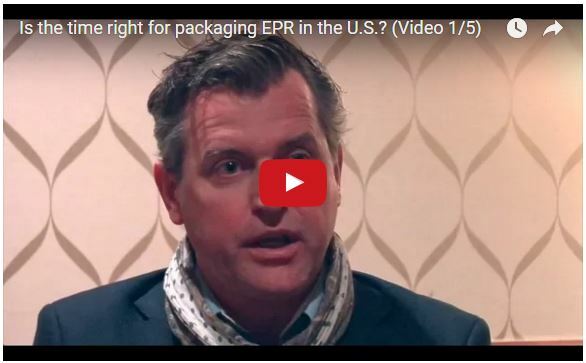 In the first part of PSI's 5-part video series, Steve Claus from Fost Plus in Belgium -- whose packaging program boasts an 80% recovery rate -- describes why the time is right to implement an EPR system for packaging in the U.S.
Find more videos on the blog. On March 16, Governor Charlie Baker signed into law a comprehensive drug abuse prevention bill that made Massachusetts the first state in the nation to require drug companies to fund and manage a safe disposal program for unwanted medications. Massachusetts Senator John F. Keenan first introduced the drug take-back portion of this bill to the MA legislature and acted as an influential proponent of its inclusion in the final law. In this blog post, Senator Keenan cautions us to stay vigilant to PhRMA's attempts to skirt the law's intent. 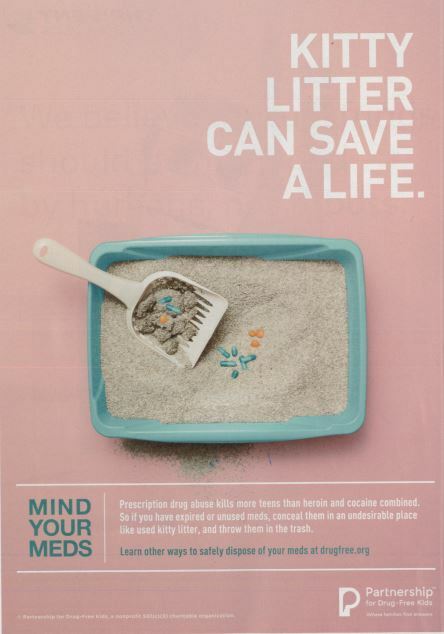 In late March, The New Yorker published "Kitty Litter Can Save a Life," a sponsored advertisement by the Partnership for Drug-Free Kids promoting trash disposal of unwanted medications after mixing with kitty litter. 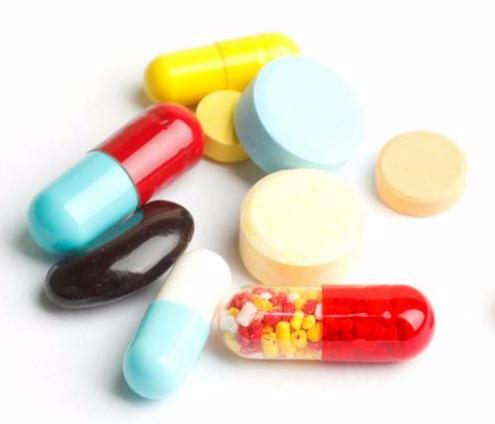 This recommendation runs counter to PSI's guidance on proper disposal of leftover pharmaceuticals that was developed by state and local government agencies around the country, which deem drug take-back programs as the best solution for disposing of leftover drugs, and trash disposal as a last resort. Inspired by PSI member, Ed Gottlieb of Ithaca, New York, and the Coalition for Safe Medication Disposal, PSI and a few of its members submitted a letter to the editor of The New Yorker, imploring the publication to move beyond promoting this unsafe and ineffective method and, instead, to advocate for take-back programs funded by drug companies. PSI also seeks signees to a letter to the Partnership for Drug-Free Kids requesting that the organization end its promotion of trash disposal and instead support guidance in line with state and local government agencies. To add your name as a signee, please contact Vivian Fuhrman at (617) 236-4771. In the United States, nearly 50 million tons of packaging and printed paper (PPP) -- a category that includes aluminum, glass, plastic, newspapers, phone books, and office paper -- are disposed each year. This waste stream is valued at more than $11 billion, but municipal recycling programs capture only 42 percent of it, far less than other locations like British Columbia (B.C.) and Belgium, which achieve 80 percent PPP recovery and recycling rates through their packaging EPR programs. Through a series of four webinars, fact sheets, and videos, the Product Stewardship Institute (PSI) will examine opportunities to bring EPR for PPP to the United States. We will examine the B.C. and Belgian programs -- among others -- to understand how they are structured, how these programs transitioned to an EPR system, and how such systems can increase recycling rates, save money for local governments, create recycling jobs, and influence packaging design. Register for PSI's webinar on June 1 for a deep dive into the B.C. and Belgian programs. Visit PSI's website, follow the PSI blog, or check your email to take advantage of other upcoming resources. PSI seeks a passionate and self-motivated individual with strong policy, project management, and leadership skills to join our collaborative, fast-paced organization that is at the forefront of the U.S. product stewardship movement. View the job posting on the PSI website. Please share widely! In Yiddish, there is a word that perfectly describes someone like Dave Galvin -- "mensch" -- which means a person of integrity and honor. It is used sparingly for those who are highly competent but also understated, a good person, someone whose qualities we admire. Scott Cassel, the Product Stewardship Institute's (PSI's) chief executive officer, first knew Dave as the guy who coined the term "household hazardous waste." Later, he knew him as the first President of the North American Hazardous Materials Management Association (NAHMMA). But then Dave melted back into being a regular NAHMMA member and colleague, an approachable guy. Scott and Dave became friends, and Scott asked him to join the PSI board. Before long, Dave was PSI's President and offered sage advice, always letting others speak first, then culminating the discussion with a comment that crystallized the collective sentiment and allowed the group to move forward in a positive direction. Dave had an amazing career, and we cannot wait to see what comes next for him. Bookmark Dave's blog to follow his retirement adventures biking across the country. 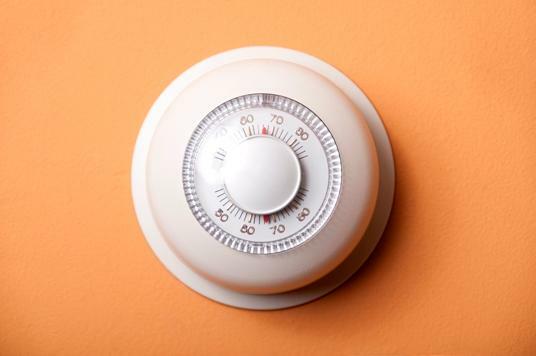 public to return mercury thermostats for recycling? including those situated at household hazardous waste drop-off locations? What incentive, policy, and collection strategies best drive mercury thermostat recycling? Complete with an ample Q&A period, this webinar will leave you with a list of tangible techniques for increasing mercury thermostat collection in your area. Register today! The Product Stewardship Institute (PSI) seeks to increase the safe management of fluorescent lamps and other mercury-containing products found in commercial buildings through a project for the Massachusetts Department of Environmental Protection. It is illegal to dispose of mercury products in the trash in Massachusetts; however, only about 31% of fluorescent lamps coming out of service in the state are recycled. PSI is partnering with the Boston chapter of the Building Owners and Managers Association, lamp recyclers, and other local organizations to ensure proper management of these products. PSI currently seeks input from agencies across the country that have conducted similar work; please contact Scott Cassel at (617) 236-4822 with any recommendations. The Cook County, IL Board of Commissioners delayed a vote this week on its proposed drug take-back ordinance (16-1983). This ordinance would require that the pharmaceutical industry fund and manage a safe drug disposal program in the county - making it the largest county in the U.S. to have a manufacturer-funded drug take-back program. The Product Stewardship Institute (PSI) submitted a letter in support of the ordinance, and will be tracking its progression in our biweekly Legislative Updates emails (a PSI member/partner benefit). On April 13, representatives from local government, MassRecycle, and Covanta joined PSI in visiting the Massachusetts State House to urge more than 25 key legislators to move the MA paint stewardship bill (S 2109) out of the House Ways and Means Committee and pass it onto the floor for a vote. Eleven local government representatives and other stakeholders attended the Advocacy Day, and many others wrote letters and made phone calls to legislators to show their support for the bill. The bill has already passed in the Senate. increase paint recycling and recycling-sector jobs. 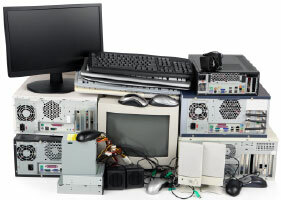 The New York Product Stewardship Council (NYPSC), in collaboration with the New York Association of Counties, recently requested a budget allocation from the Environmental Protection Fund for local governments to be reimbursed for unexpected costs incurred from collecting electronics for recycling. A total of $3 million was allocated from the fund for this purpose. The budget request is a temporary fix until a long term regulatory or statutory solution is put in place. The Product Stewardship Institute is working with NYPSC to examine legislative options for improving the New York State Electronic Equipment Recycling and Reuse Act to ensure year-round manufacturer funding for electronics recycling programs. On May 5, PSI's chief executive officer, Scott Cassel, traveled to Albany, NY to attend the New York Caucus of Environmental Legislators' forum to discuss the New York paint stewardship bill (A.6199C). 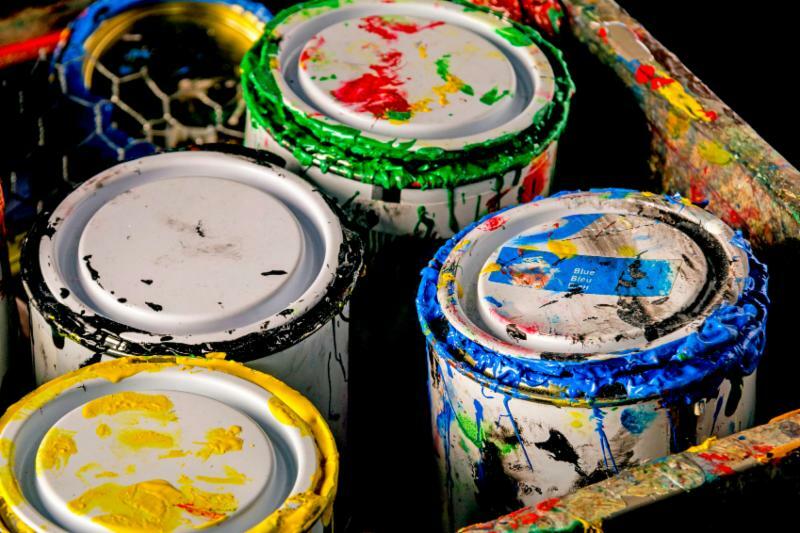 This bill would establish a paint stewardship program in the state, placing responsibility on the paint industry to finance and manage residents' leftover paint. A.6199C -- which is consistent with legislation passed in eight states and D.C. -- is currently under review by the Assembly's Environmental Committee. A same as bill passed unanimously in the NY Senate last year and is currently on the Senate Floor Calendar. The Minnesota Pollution Control Agency (MPCA) drafted an amendment to the bill considered last year to make changes to the state's electronics take-back bill. The amendment was introduced in the Senate and was influenced by a series of stakeholder meetings attended by recyclers, manufacturers, and collectors. Best Buy, which is based in Minneapolis, is supportive of changes to the current program and was engaged during the stakeholder process as both a manufacturer and a collector. The Consumer Technology Association also proposed bill language that was considered in the House recently. The MPCA is working with the Association, local governments, and the environmental community to negotiate a compromise bill. The session in MN will conclude on May 23, 2016. The Product Stewardship Institute's members and partners can follow the progression of the bill through PSI's biweekly Legislative Updates email. Please contact Suzy Whalen if you don't think you are receiving this email. Last month, the Drug Enforcement Administration (DEA) ran the first of its two 2016 National Prescription Drug Take-Back Days. Residents dropped off leftover and expired medications at designated collection locations for free -- no questions asked. Nationwide, over 5,400 collection sites took in about 447 tons -- or 893,498 pounds -- of leftover medications. Government agencies promote take-back as one of the best strategies for reducing the health and environmental impacts of unwanted drugs. While these DEA events are a step in the right direction, the Product Stewardship Institute and its members continue to advocate for consistent, year-round drug-take back programs sustainably funded by drug-makers through extended producer responsibility legislation. One of the nation's first producer-funded drug take-back programs -- King County, WA -- has gained the participation of the county's largest city: Seattle. Pharmacies and law enforcement agencies in the city will soon begin installing drug take-back kiosks to collect leftover prescription medications, including opioid drugs. The King County program endorsed in Seattle's resolution was put in place by an extended producer responsibility ordinance passed in 2013, which placed responsibility on pharmaceutical manufacturers to fund and manage a drug take-back program in the county. In April, Snohomish County, WA held a public comment period on a proposed Secure Medicine Return Regulation. Thanks to the wide support for such legislation expressed by the Product Stewardship Institute and others, the County's Board of Health conducted a First Reading hearing on the draft ordinance on May 10. The Snohomish County Board of Health will vote on the ordinance in June. The India Ministry of Environment and Forests recently released its 2016 e-waste management rules, under which producers of electronics are now responsible for the proper management of their products at end-of-life. "Every year more than 17 lakh tonnes [1,700,000 tons] of such waste is generated and it is growing at a five percent rate every year and is set to grow further," said Environment Minister Prakash Javadekar. Through this program, "consumers must collect the items and hand them over to authorized recyclers. Various producers can have a separate Producer Responsibility Organization (PRO) and ensure collection of e-waste as well as its disposal in an environmentally sound manner."